That is, vision as in how we literally see objects around us. Everyone knows about Google, Yahoo, and the other search engines that we use today. No matter how good these search engines may be, though, they are still limited by the fact that we have to enter search terms to get results. That means we need to have a name, a word, or a phrase for what we are looking for. Now what if there were a search engine that takes images as the search query? Say you’re at a supermarket and you find something in a nice package, but you are not sure if it is good. You can always go visit Google and enter the name of the product and look for reviews. Alternatively, you can use your smartphone to take a picture of the item and use it to search. Is that really possible? With the new technology that Cortexica ((Cortexica)) is working on, searching this way just might become the norm soon. The basis of the technology is simple – it is “a bio-inspired vision system enabling intelligent image recognition using principles derived from the human visual cortex.” The platform is patented – of course – and it provides a whole new way of doing things, at least search-wise. How do they do it? Much like how our vision system works, the VisualSearch platform recognizes objects by identifying key features. These key features remain unchanged in spite of differences in lighting, orientation, and size. 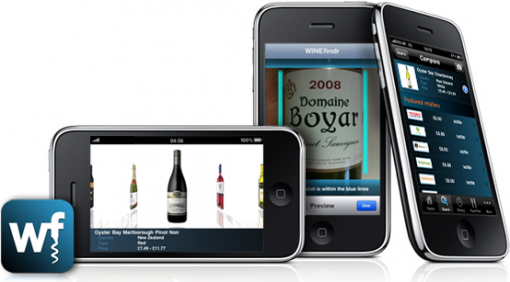 To see what this technology can actually do, they already have an iPhone app called WINEfindr, which can be found in the app store. Obviously, this app is limited to wines, but it showcases what can be done. The technology is very new, but work continues to be done, making the possibility of visual searching becoming part of our routine very real. Exciting? Definitely! Something that will take the place of barcodes and QR codes? Perhaps. So, Google Goggles, but only works for wine, meaning it probably boils down to some simple shape and color recognition with maybe an OCR stage against the label. Still, maybe useful if you have to identify wine bottles a lot and can’t read the label (blind, wrong language, ???). haha wow that was a cool idea! i donated a dollar i hope it helps the kid haha I doubt many people will donate because its so simple but I think it was a good try. Lets hope my dollar does good haha!